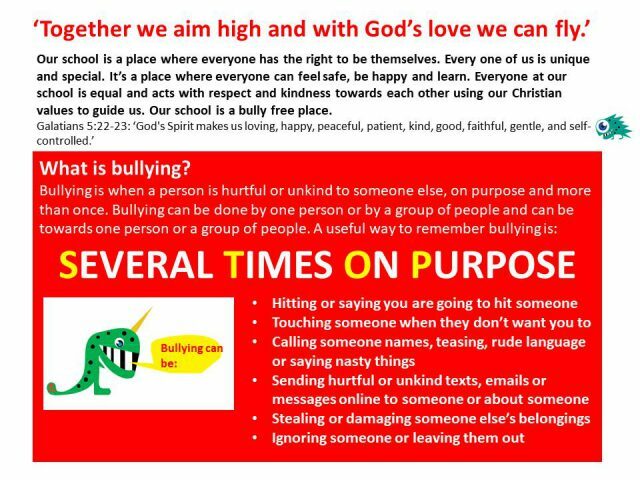 We are committed to providing a caring, friendly and safe environment for all our pupils so that they can learn in a happy and secure atmosphere.Bullying is unacceptable and will not be tolerated. We are a TELLING school. 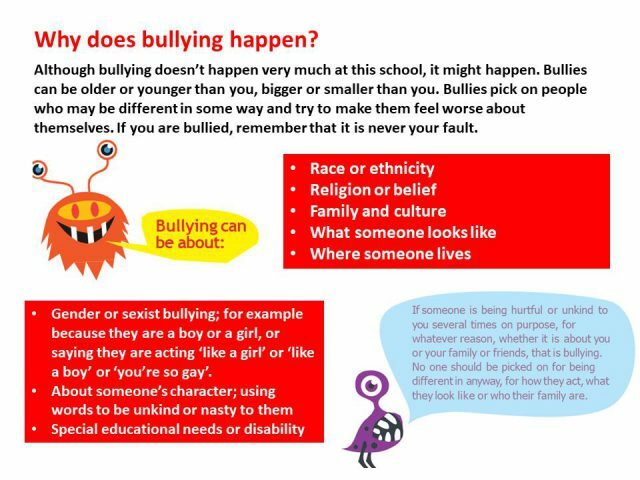 This means that anyone who knows that bullying is happening is expected to tell the staff. 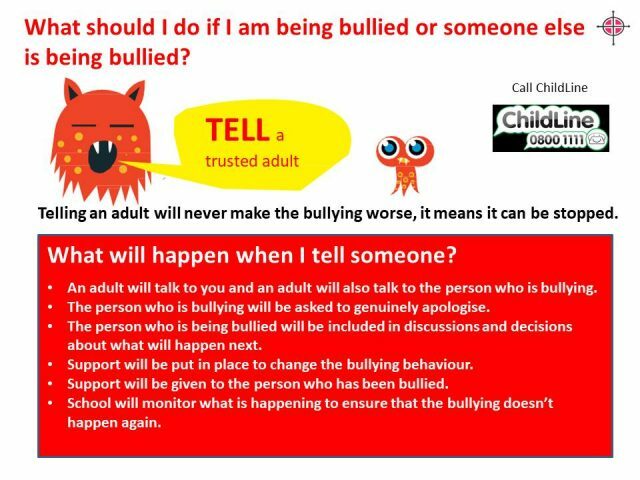 You can also report any worries through our website on the Children homepage.